After months of rumors, CBS made it official today. 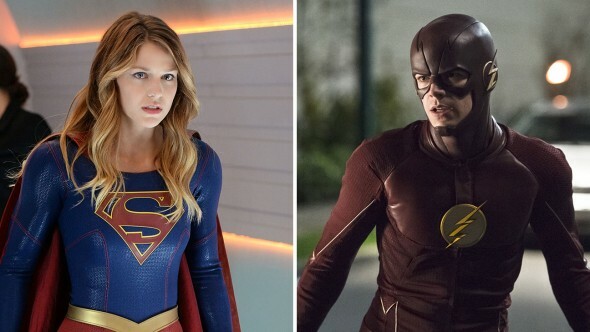 Barry Allen from The Flash on The CW will be crossing over to visit Supergirl on CBS. The big episode will take place on March 28th. No word on if/when the girl of steel will make an appearance on the scarlet speedster’s show. What do you think? Are you surprised that a CW character will be visiting a CBS show? Will you be tuning in? Considering the fact that “Supergirl”‘s March 28 episode is the 18th episode of the season, judging by the front cover of the episode’s script, when is the season finale of “Supergirl” going to air? I’d guess sometime in April. Either the 11th or 18th depending on if they have a special on one of those Mondays. Supergirl can’t be set in Earth-2. It must be set in Earth-3. But Earth 3 is where Superwoman lives. I hope the snoozeville called super girl don’t bring down The Flash. Will be cool for sure… Surprisingly tho, I’ve been liking the more heartfelt ‘feels’ approach of Supergirl over The Flash, although the upcoming visit to Earth-2 should be interesting! I agree. I love the Flash but it’s getting a bit along the lines of darkness ala Arrow/Batman. With series like Jessica Jones, Daredevil, Arrow and to a lesser degree Flash being dark I love we have a lighter series in Supergirl. Much different than the other series. Yea! Crossover of two great shows. I can’t wait.